SONR™ is siffron's retail loss prevention and security system that keeps products accessible while preventing theft. 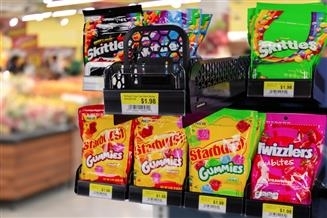 The SONR anti-shoplifting device provides audible beeps at the shelf level and protects merchandise throughout the store. SONR integrates with existing store security systems to create a tiered alert system that ensures retailers are always aware of activity anywhere in their store. The first level of SONR security starts at facing level. 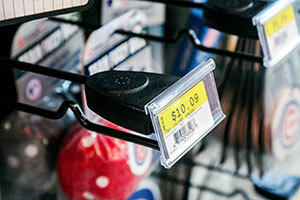 Merchandise removed from a hook or shelf triggers the initial response. A warning beep is emitted to draw attention to the affected retail area and to deter potential shoplifters. The second tier of SONR's security starts by installing an Echo Box at or near a store associate workstation to mimic all the warning beeps and alarms from the SONR products and facings. The SONR system can be set to alarm if too many products are removed or another security threshold is passed. This feature notifies store associates who may not be in the retail area of activity. The third and most sophisticated level of SONR security links in existing security and communication systems to suit store needs. 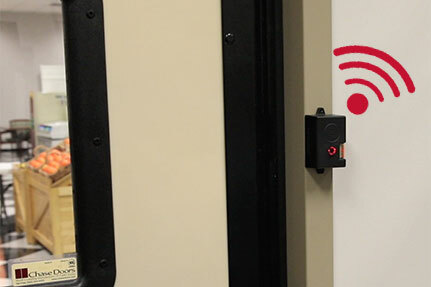 The SONR Echo Box with optional signal output ports integrates with existing security systems, such as and overhead intercom or public video monitor (PVM). 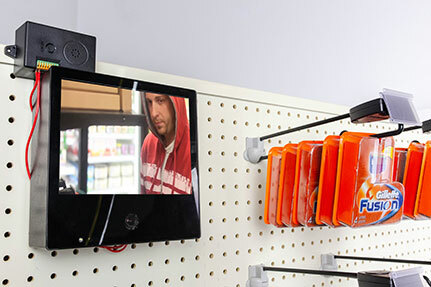 The SONR Hook is a security display hook designed to guard against product sweep. 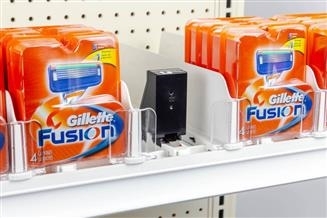 It notifies store associates when customers have chosen merchandise by emitting a warning beep or alarm to detract shoplifters. 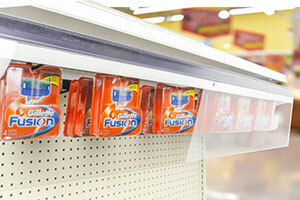 The SONR Pusher is a flexible and open security system integrated into new or existing product pushers. 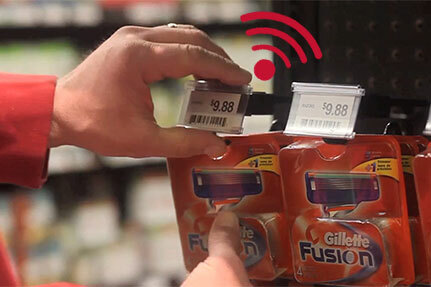 The SONR Pusher notifies store associates of activity at the shelf and store level. 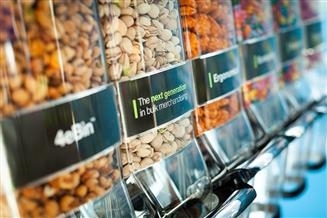 Retailers can scale the SONR Pusher to adhere to their store needs from a singular facing to a complete shelf. Designed to be a cost-effective solution to loss prevention in grocery, pharmacy or convenience stores, the SONR™ Crossbar Shield prevents sweep and theft for an entire row of facings on a shelf. The SONR™ Crossbar Shield's low-profile design preserves space, ensuring retailers do not lose any additional space to sell merchandise. 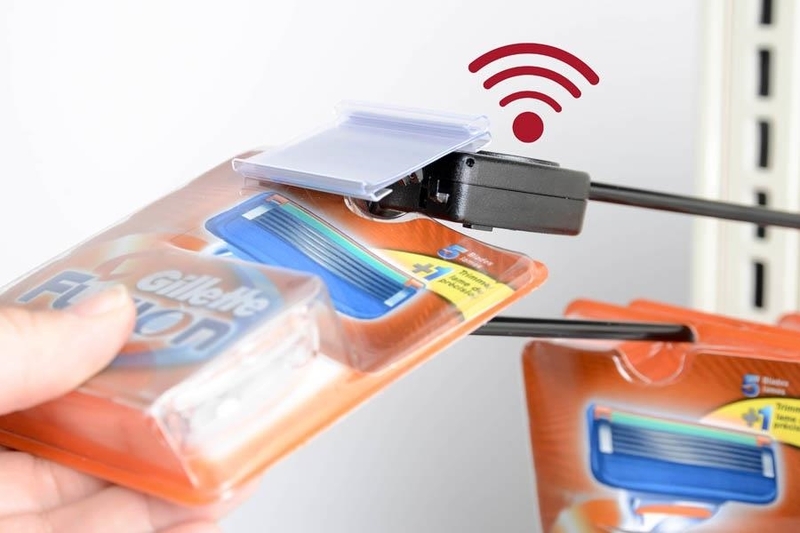 The LM Tag™ with SONR is a retail security product that provides an extra level of protection against theft with remote notification. 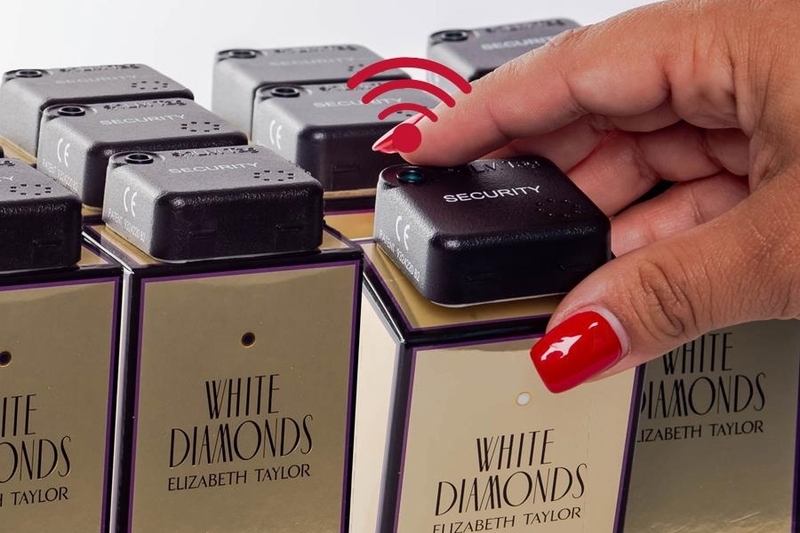 LM Tags interface with the SONR Echo Box (installed remotely) to relay product activity notifications to the Echo Box, which increases awareness and response times. The SONR Echo Control Box mimics warning beeps and alarms from other SONR products (SONR™ Hook, LM Tag™ with SONR™ or SONR™ Pusher) on the store floor. 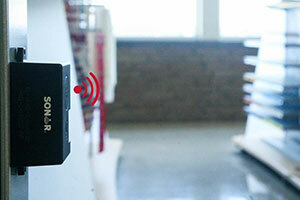 The SONR Echo Box helps store associates manage alerts via push notifications on and off the floor. 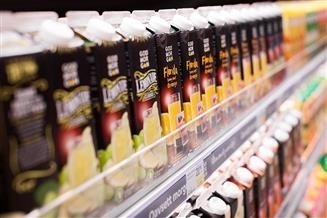 Retailers also can safeguard their merchandise while maintaining an open and shoppable environment for their customers.